Principles for a Dignified Diagnosis was written for the medical community by people living with Alzheimer's disease in the USA. 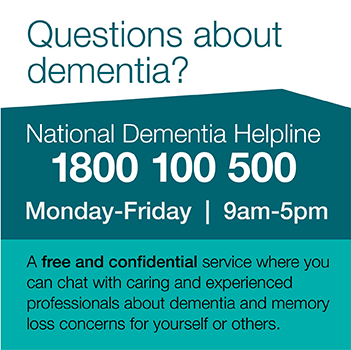 Talk directly to the person with dementia. I am the person with the disease, and though my loved ones will also be affected, I am the person who needs to know first. Tell the truth. Even if you don't have all the answers, be honest about what you do know and why you believe it to be so. Test early. Helping me get an accurate diagnosis as soon as possible gives me more time to cope and live to my fullest potential and to get information about appropriate clinical trials. Take my concerns seriously, regardless of my age. Age may be the biggest risk factor for Alzheimer's, but Alzheimer's is not a normal part of aging. Don't discount my concerns because I am old. At the same time, don't forget that Alzheimer's can also affect people in their 40s, 50s and 60s. Deliver the news in plain but sensitive language. This may be one of the most important things I ever hear. Please use language that I can understand and is sensitive to how this may make me feel. Coordinate with other care providers. I may be seeing more than one specialist — it is important that you talk to my other providers to ensure you all have the information so that changes can be identified early on and that I don't have to unnecessarily repeat any tests. Explain the purpose of different tests and what you hope to learn. Testing can be very physically and emotionally challenging. It would help me to know what the purpose of the test is, how long it will take and what you expect to learn from the process. I would also appreciate the option of breaks during longer tests and an opportunity to ask questions. Give me tools for living with this disease. Please don't give me my diagnosis and then leave me alone to confront it. I need to know what will happen to me, and I need to know not only about medical treatment options but also what support is available through the Alzheimer's Association and other resources in my community. Work with me on a plan for healthy living. Medication may help modify some of my neurological symptoms, but I am also interested in other recommendations for keeping myself as healthy as possible through diet, exercise and social engagement. Recognize that I am an individual and the way I experience this disease is unique. This disease affects each person in different ways and at a different pace. Please be sure to couch your explanation of how this disease may change my life with this in mind. Alzheimer's is a journey, not a destination. Treatment doesn't end with the writing of a prescription. Please continue to be an advocate — not just for my medical care but for my quality of life as I continue to live with Alzheimer's.